Our superabrasive powder and mesh products are globally valued by a variety of companies manufacturing diamond and cBN tools for industrial and medical end use. 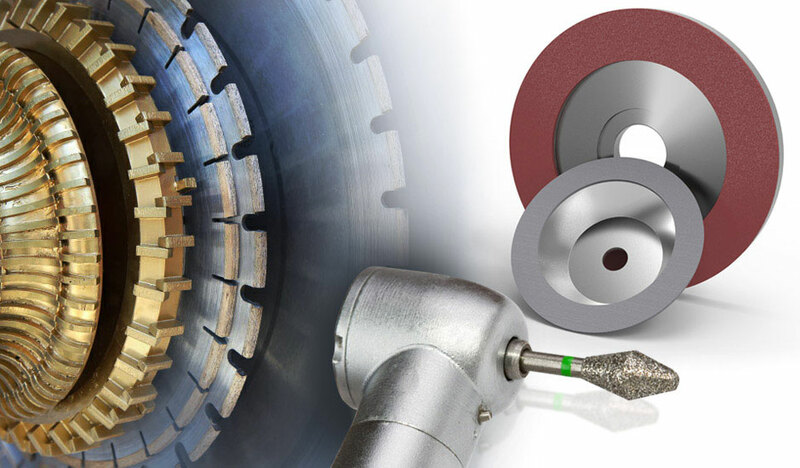 From mesh size diamond for wire saws, industrial broaching /honing tools and high speed dental burrs; to diamond and cBN powders for various bonded superabrasive grinding wheels; to copper or nickel coated diamond and cBN powders for electroplated superabrasive cutting blades / grinding discs and for vitrified, phenolic and polyimide bonded superabrasive grinding wheel manufacture. Advanced Abrasives is a manufacturing and processing base for a product portfolio that includes wet and dry diamond powders, compounds and slurries. These products are processed in a variety of methods to "Custom Specific Specifications", to satisfy a diversified range of applications worldwide. © Copyright 2019 Advanced Abrasives Corporation. All rights reserved.